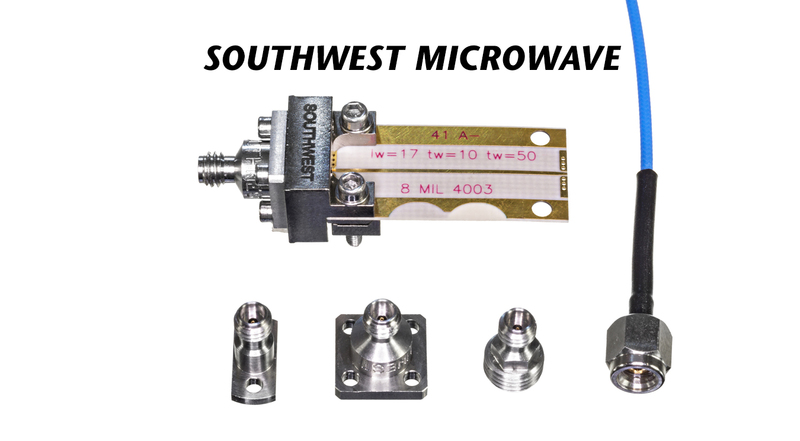 The 1.0mm Connector Series operates from DC to 110 GHz. It includes field-replaceable two- and four-hole flange mount and thread-in connectors, direct solder cable connectors, and clamp-on end launch connectors, including low profile and reduced size low-profile versions. The connectors have a well-matched impedance, good repeatability, a low VSWR of 1.2:1, insertion loss of <0.6 dB, and RF leakage <-100 dB.